When I’m not playing pool I love to play poker. I practice playing snooker all the time and have actually won two consecutive Canadian snooker championships. I can even see myself trying to play snooker on the pro tour one day, I’d love the challenge of competing with the likes of Ronnie OSullivan and Mark Selby. I also love to cook and can easily see myself becoming a chef. I like experimenting with new foods and I think being a good chef means never being satisfied with anything but perfection. Staying fit is an important aspect of my life too. I like to walk long distances and get as much exercise as my time and travel commitments will allow. From the time that Alex started competing professionally he has never been ranked outside the top 16 on the recognized worldwide money list. His highest official ranking was number 2 in 2004 when he won the WPA World 9-ball title and number 4 in 2003 when he was the finalist in that same event. He has countless worldwide television appearances as both a player and a celebrity personality. His career earnings in cue sports have now exceeded U.S. $ 1.5 Million. 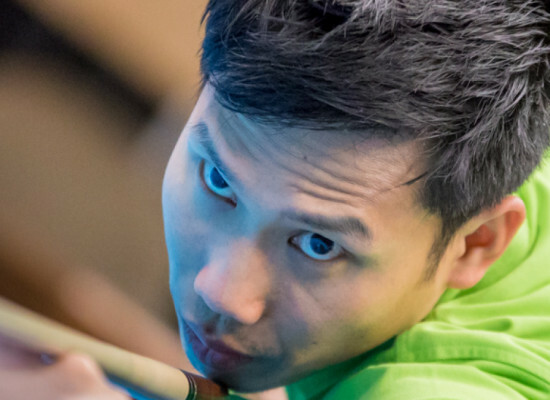 Apart from Alex Pagulayan’s success in the sport he has the distinction of having no less than 126 top ten finishes in major recognized pool tournaments including a runner up finish in the US Open 9-ball Championships and the WPA World 9-ball Championships in 2003. He then went on to capture both titles within a couple years of these two runner-up performances.